Most forms of exercise involve some risk of injury. According to recent studies, sixty five percent of runners will suffer a significant injury each year. Even more sports players routinely hurt themselves and lose the opportunity to exercise. Some never get past the rehab phase and back into training again. Swimming is the form of exercise least likely to cause these problems. There is no jarring of the skeleton at each footfall. Ligaments and cartilage are not subject to the kinds of intense pressure that many sports involve. The problem is that many people have no swimming facilities nearby and don't have the space in their backyard for a full sized swimming pool. A swim spa can be the solution. 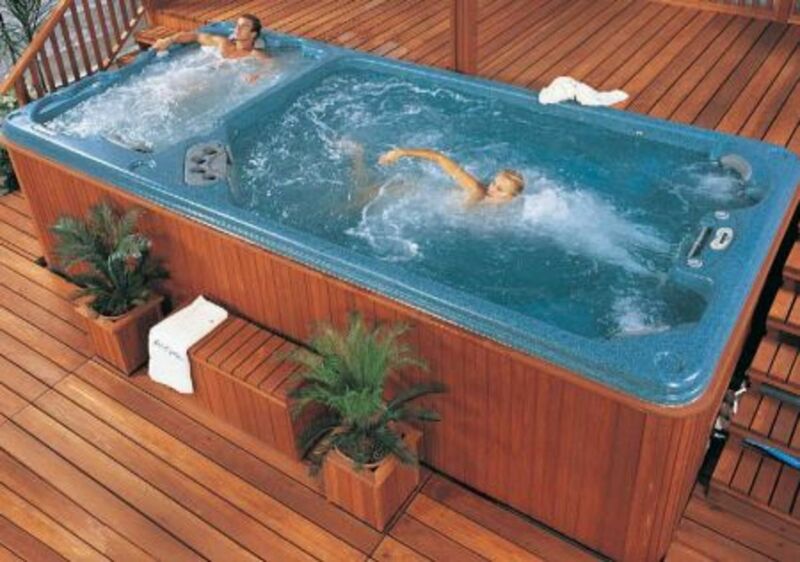 A quality, good sized swim spa- say 16 feet by 9 feet and up to six feet deep- costs between $30,000 and $40,000. Some cheaper, smaller but still usable models can be around half of that. Both full sized pools and swim spas offer convenience. They can allow you to squeeze serious training into a busy schedule. There is no travel, no equipment to carry and no queuing in crowded gyms. Swim spas perform as well as conventional pools for endurance training and many offer superior relaxation afterwards- especially if they have hydro jets for massage. Swimming is not the only form of exercise available to swim spa owners. For anyone needing gentle exercise, water walking on a treadmill can be very beneficial. Controlling the current you are walking into gives you a range of different exercise levels. Weights, ankle tethers, rowing machines and webbed gloves can increase the intensity and a spa can become an aquatic gym. Swim spas are versatile. Some people use them like big hot tubs purely for relaxation and play. A family can enjoy swimming, massage and just chilling out. Water has great therapeutic advantages for treatment of injuries. Once gravity is eased there is far less pressure put on joints and soft tissues. A graduated recovery program can easily be devised by trained therapists. Some of the groups that most benefit are those that find any kind of exercise difficult. This includes the obese and the elderly. Arthritis sufferers can reap huge benefits from gentle exercise in warm water. There are far fewer worries about falling, too. Current Generation- Jets, Paddle-wheels, Propellers. Probably the single most important consideration in the choice of a swim spa is how the current is generated. The ideal experience comes from swimming in a steady, non-turbulent current that is strong enough to offer you the work out you need. Swim jets are inexpensive but generate the the most turbulence. It can feel as if you are swimming into a high pressure hose. They are best for fun swimming in short bursts. Current generators that use propellers generate a lot less turbulence and are acceptable for most people. A large paddle wheel provides the best strong, deep steady current but only one manufacturer offers this system and it is the most expensive option. Current speed should always be adjustable for serious swimmers. Top athletes will need up to 8 mph for a good workout. Some swim spas are strictly for exercise. Most offer exercise plus a place to relax. Those swim spas that offer to double as a hot tub may not always deliver such a good experience as a purpose built hot tub. A swim spa with attached hot tub offers the best of both worlds. What is the overall size and effective swimming area? Is the swim area big enough for the exercise that you want? Attachment points for aquatic gym work outs? Enough flat bottom space for underwater treadmills or aqua bikes? Is the current generated by swim jets, propeller or paddle-wheel? Is there an ozonator (which helps purify the water)? What comes under the warranty- structure, pumps, heaters? Fibreglass or acrylic liners? Well constructed fibreglass can be as good as acrylic but cheaper fibreglass is always suspect. Local spa stores will install- at a price- but if you buy in kit form from an online supplier you will need to allow time for the assembly or find installers (and pay them). There are also extras like steps and decking to think about. The installation of an above ground swim spa is rated as straightforward for someone with good DIY skills and a full tool set but time consuming- maybe spreading over several weekends. If you decide to set the pool in-ground and pay a contractor, your costs could climb rapidly. It is worth phoning round and finding an installer willing to give a price for the work before going ahead with a purchase. Once installed, running costs for a swim spa are a lot less than a swimming pool- as little as 35 dollars a month in eco-friendly, well insulated models. If you are worried about the environmental impact of your spa or just want to save money, you could think about solar pool heating. There are no seats, built in TVs or LEDs here- this is a swim spa designed purely for exercise. The bottom is entirely flat with a skid-free surface and nothing to hit arms or legs against. The current is supplied by a paddle-wheel and is adjustable by air transmission controls. The liner is fibreglass moulded in a single piece for strength and durability. An ozone generator is standard, reducing maintenance and chemical use.The whole thing can be shipped as a finished unit or assembled on site. The paddle-wheel system ensures a steady current with little turbulence and offers a smooth, quiet and trouble-free swim. SwimEx's well designed web site has all the information you need to make space planning decisions including full specifications for architects and builders. They also offer a free DVD. The 400 OS model starts at $27,000. The 480-S home OS starts at $40,000, is deeper and has a greater current depth. Prices exclude taxes and installation. One of the more expensive choices but the paddle-wheel and floor space makes it a good buy for someone who plans to swim or train a lot. This is one of the best known companies. Starting at around $20,000 dollars for a bare bones, fourteen feet model the Endless Pool Swim Spa is the mid-range model all the others need to beat. The website has a free DVD which covers features, installation and optional extras. You can check all the prices in this detailed price list. Some of the optional extras that are not included in the starting price are pretty essential. These include side panels and covers but if you take the time to go through the price list and see what you want and don't want, there won't be any big surprises down the line. When it comes to installation, you can tackle it yourself, if you some construction skills, or employ someone locally. Alternatively, you can make use of the factory trained installers who promise to have you swimming in a couple of days. You will need to call for a price. There is a ten year warranty on the acrylic shell. These are top of the range, custom built, stainless steel and ceramic tile-lined swim spas from a company with twenty years experience in the spa manufacturing business. They supply health professionals and home users with beautiful and durable pools but you should expect a sizable price tag. On the plus side, any money that you spend on a Bradford Spa will certainly add to the value of your home. This company builds spas that will last and last. 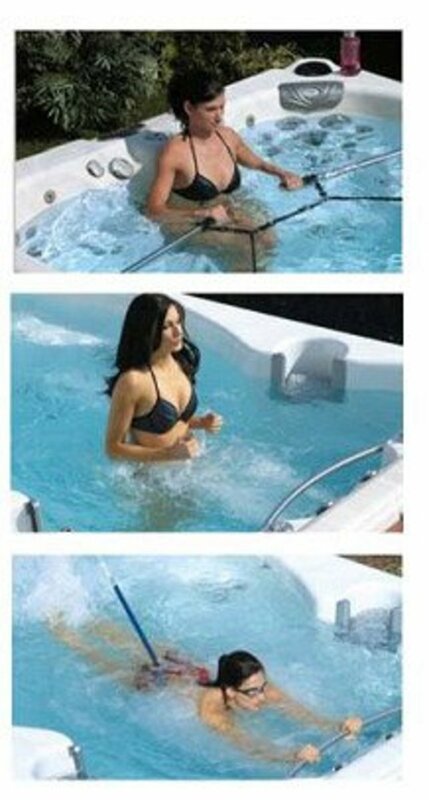 Swim Master Spas have specifications which are truly impressive on paper. The bigger sizes offer six seats and are around fourteen feet long and eight feet across. The depth is a generous four and a half feet. Included are as many pumps pulsators and roto-jets as anyone could ask for. The shell is acrylic and you can choose from a wide range of colors to suit your location. Given that prices start at around $18,000, this company is worth looking into. Simple concrete, tile and stone spa. 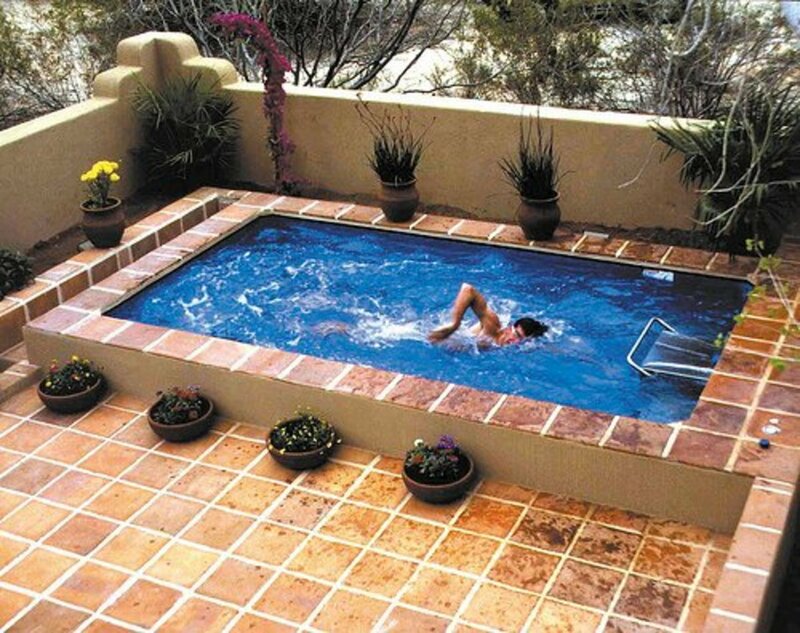 Tiled, concrete pools and spas often cost no more than in-ground acrylic pools or spas but offer advantages like greater control over design and the ability to tailor a spa to a tight space. Swim jets, like the Badu Stream below, are available to be let into pool sides or over-the-wall jets can be used. The disadvantage of concrete hot tubs- like the lack of moulded seating to secure you against the buffeting action of hydro-jets, are less of an issue with swim spas. 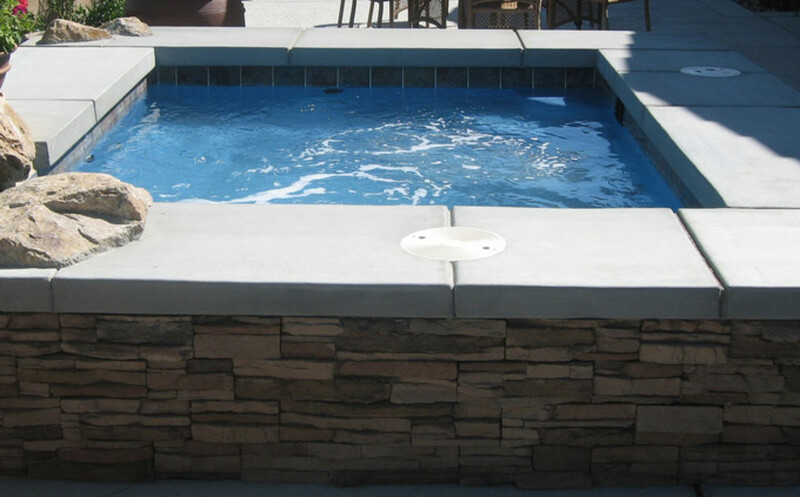 Powerful over-the wall or built in swim jets can create a swim-in-place experience in any pool or spa longer than 13 feet. Cheapest prices range from about $3,000 in-wall (excluding installation) to a little more than $4000 over-the wall.The Badu Stream over-the-wall model requires a 15 Amp 240 supply. The Exerswim over-the wall model is powered by rechargable batteries and is completely portable. The propeller driven current is adjustable from 0 to 6 miles an hour. The price is approximately $4,000. 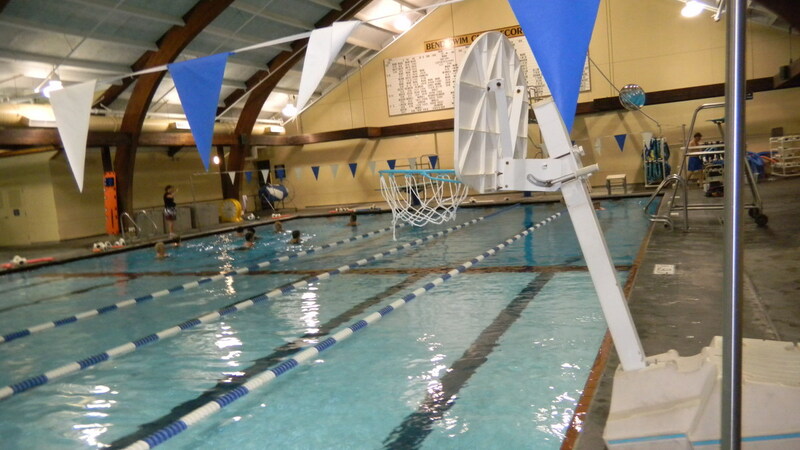 The site above has every piece of equipment you could ever need for aquatic training or rehabilitation. It has lifts and hand rails for people with poor mobility. It has treadmills and step and twist gear for aerobics. It even has underwater bicycles. Whether you are athlete staying in shape or a significantly disabled person, select the equipment that you need and make the most of your swim spa. You can easily develop exercise programs tailored to your individual needs. Best of all you will never break into a sweat! 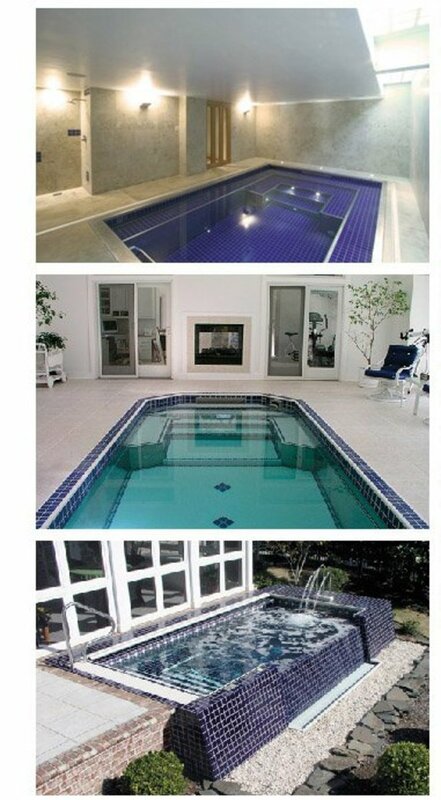 Will Apse, I just saw a swim spa with a hot tub built right next to it! My two favorites all in one! Forgive the pun but I believe this will be the new wave of the future. Fabulous article. Very well done. Voted up! Wow. Great hub on swim spa. The pictures are tempting. i do a lot of swimming as i want to become a beach lifeguard. This hub has tempted me to go to a swim spa. Add an innovative and very effective resistance tool to your workout. Great for target toning. Great Hub! Love swim fitness! To be honest Mermaid, one of the main things that makes the Endless Pools swim spa stand out is the superior water current generator. It is their own design and only they sell it. The current it produces is powerful and moves a lot of water- so that you are actually swimming in a moving stream of water that is wider and deeper than your body. Swim jets don't move much water and some people compare swimming into a swim jet as being like swimming into the resistance of a high pressure hose. In other words, your head and shoulders are getting sprayed and you are trying to swim through that. Stronger swimmers will be able to do just that- the resistance of the jets just won't be enough. On the other hand, swim jets are fine if you are mostly planning on relaxing in a swim spa and only want to swim occasionally. The best thing to do if you are planning on spending a lot of money is to test the different systems first. Good dealers will have at least one swim spa set up and they are happy to let you get in and try it out. Trade fairs are also a good place to try out the full range of different swim spas. I certainty wouldn't buy anything you haven't tried. 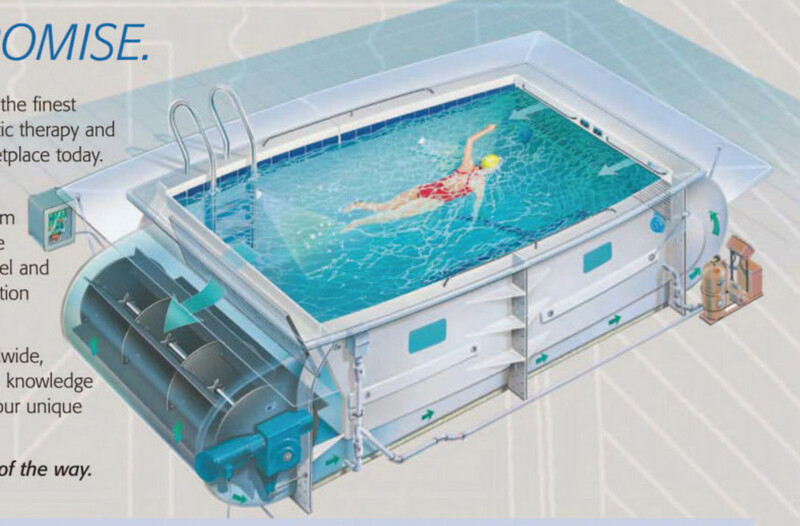 As a last remark, the broadest, deepest water current comes from the Swim-ex paddle wheel and when all the costs are compared it is not much more expensive than an Endless Pool. Best of luck finding what you want! Hi, I have been shopping around for a swim spa in my area. It seems fairly unanimous that swim spas by Endless pools are the most recommended, but also most costly. In my research it is suggested that it is very important to go with the reputation of a local dealer, which led me to the H2X, the Dimension ! and finally the Sunbelt Swim spa. Sunbelt comes equipped with the same BADU jets as Endless but is much less expensive. I would be very grateful if I could get some constructive feed back (no competitiors please) on specifically the Sunbelt Swim spas. Thanks very much. Especially for older people like myself it's a lot healthier than the usual workouts at the gym, especially for the weight-bearing joints. Sorry JM, I'm not familiar with the policy of the IRS in regard to swim spas. We might be lucky and get a visit from an accountant who can fill us in. I wish you success with your planned operations. P.S. Thanks again for all of the info, especially if you know if IRS will allow any deduction for the swim spa, and also if you are familiar with the Thermospa version of the swim spa. Will, Thanks for the info. I am looking at the Thermo Spa Swim Spa, but it is very expensive. Do you know if the IRS will let me claim it if the doctor has recommended it for therapy? I have arthritis, degenerative disc disease with 6 bad discs and 2 compressed nerve roots and bone spurs in the cervical spine. I'm waiting for trials to be completed in the U.S. early next year hoping for the 3-disc replacement, as it is too late for a successful fusion. Also have had a uni-knee replacement and arthroplasty on the foot joint. Swimming feels great and is the only exercise that feels great. So many people don't even realize the enormous health benefits. I'm glad you are getting the word out. 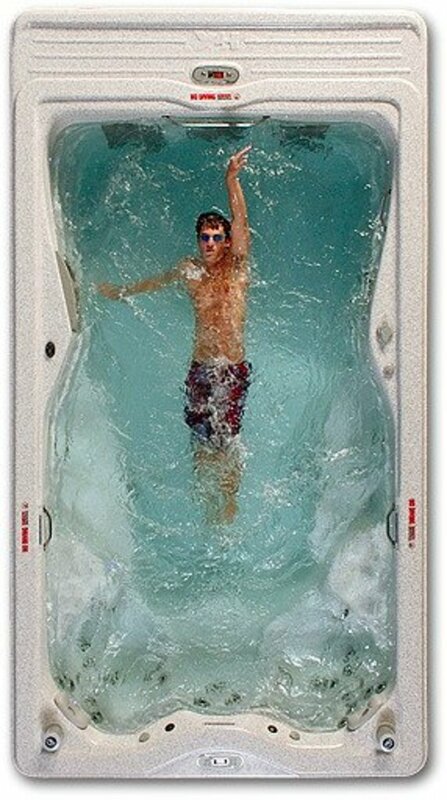 I love what spas can do for people with arthritis as well. Great article, I've recently been swimming because of my back issues while mixing it up with walking. Eventually I'd like to get a pool of this type for my personal use. Thanks for sharing the information. I'm now following you and would appreciate it if you like my fitness, pain management and health articles to return the favor. Good Health to you and your family! Water exercise is wise is my mantra! I love the title - swim fitness is luxurious! Great photos, great article. And yes, I am very biased because I manufacture the world's greatest resistance tool. I am saddened at how many people have not tried this great exercise. I prefer the term "swim fitnes" because the water exercises now offer something for everyone - cardio, resistance training and kick boxing and zumba too!